Click titles below for Full Text. Video of news coverage of our peer-reviewed work. Describes the theoretical and conceptual framework and the research and practice model of Think & Eat Green @ School, a community-based action research project aiming to foster food citizenship in the City of Vancouver and to develop a model of sustainable institutional food systems in public schools.The authors argue that educational and policy interventions at the school and school board level can drive the goals of food system sustainability, food security, and food sovereignty. The complex relationship between food systems, climate change and environmental degradation require that international initiatives promoting sustainability be vigorously complemented by local multi-stakeholder efforts to preserve or restore the capacity to produce food in a durable manner. 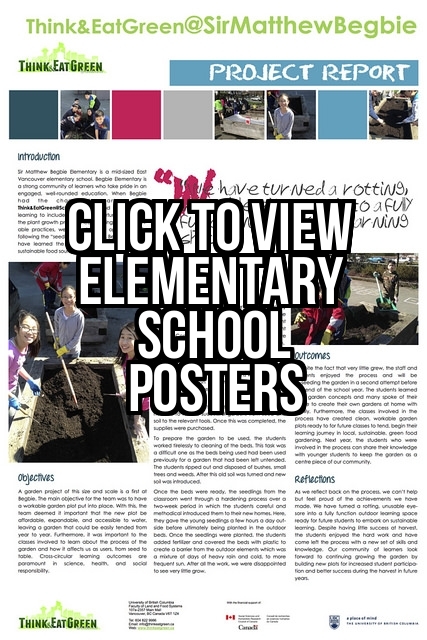 As a step towards making the City of Vancouver green, we are currently involved in attempts to transform the food system of the local schools by mobilizing the energy of a transdisciplinary research team of twelve university researchers, over 300 undergraduate and graduate students, and twenty community-based researchers and organizations working on food, public health, environmental and sustainability education. Higher socioeconomic status was significantly associated with two of five school-day dietary outcomes and predicted higher likelihood of daily nutritious food choices at school. The present study suggests that there is room for improvement in school-day dietary quality for students from all SES backgrounds in Vancouver. This study examined differences in dietary practices (at or en route to and/or from school) between students in their last years of elementary school (grades 5 to 7) and first year of secondary school (grade 8) in Vancouver, Canada, controlling for sociodemographic characteristics and school-level socioeconomic status. Demographic characteristics and dietary data were collected through a cross-sectional survey (n=950 from 26 schools) and combined with school-level socioeconomic data derived from the 2006 Canadian Census. Cayley E. Velazquez, PhD, RD, Jennifer L. Black, PhD, RD, Jean-Michel Billette, PhD, Naseam Ahmadi, MSc, Gwen E. Chapman, PhD, RD. This cross-sectional study included direct observations of physical food environments and interviews with key school personnel regarding food-related programmes and policies. A five-point scoring system was then developed to assess actions across six domains: (i) food gardens; (ii) composting systems; (iii) food preparation activities; (iv) food-related teaching and learning activities; and availability of (v) healthy food; and (vi) environmentally sustainable food. This special volume is a resource for educators published by the Hunger, Environmental and Nutrition Journal. The publication contains nine papers jointly written by TEGS’s researchers Alejandro Rojas, Art Bomke, Brent Skura and Will Valley: Flashlights in a Forest (8), Field Trip to a Dairy Farm (11), Environmental Ethics: Flower of Values (13), The Household Food System (33), Sensory Evaluation of Fluid Milk Products and Milk Alternatives (35), Community Food Security Assessment Project (86), Field Trip to a Small Scale, Organic Farm (89), Using Zea in a Learning Experience (93), and Barnga Game (95). Outlines the UBC Faculty of Land and Food Systems’ (FLFS) transition from instability to engagement through institutional and curricular changes, particularly highlighting the landscape of community-university research approaches. This map articulates two continuums: from community inquiry to engagement, and from university- to community-generated research agendas. Our paper shares experiences from the last decade of teaching-learning about food security and sustainability through community-based learning, research and hands-on service. Specifically, we speak to the 5-10 year Community-Based Action Research projects embedded in the Land, Food and Community series of undergraduate courses in the FLFS, at UBC. We position the projects over time on the map to demonstrate how this landscape may prove useful for other programs currently involved in or transitioning towards community-engaged scholarship. Finally, we share projections for the next 5 years of community-engaged scholarship in the FLFS. planet, influencing both what students learn about food and their cumulative effects on the food systems in which these nested. Students are influenced both by what is formally taught and by how food is experienced throughout the school day. The food procurement practices of schools and the diets that are promoted can have a large impact on the shape of food systems. Increasingly actors involved in school food systems are raising questions about the sustainability and quality of health promotion in school food systems. School food gardens and farm to school programs are two initiatives that have been undertaken with the aim to get more healthy, local and sustainable food into the minds and onto the plates of students. This qualitative case study explores the impact school food networks had on the policies and practices of the school food systems within the Vancouver School Board. 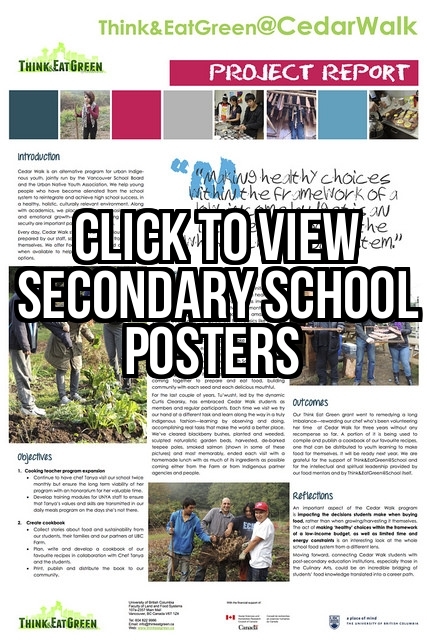 The three overlapping school food networks examined in the case were Think&EatGreen@School, Farm to School Greater Vancouver and the Vancouver School Food Network, which were involved seeding and growing school food garden and farm to school initiatives in the Vancouver School Board between 2010 and 2014. These school food networks in Vancouver played an important role in supporting the development of innovative school food initiatives at the school level between 2010 and 2014, effectively supporting ‘niche’ development. School food networks facilitated niche development at school level by supporting the creation of innovative models, building the capacity of teachers and school communities through professional development and providing logistical support. When looking at broader institutional rules and practices at the school district and higher levels, impacts at the regime level were much more limited. 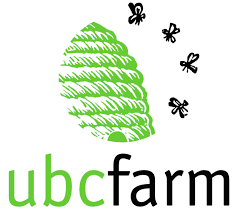 In this article, authors Alejandro Rojas, Yona Sipos, and Will Valley describe a cultural transformation to embrace community-engaged scholarship by faculty members in the Faculty of Land and Food Systems at the University of British Columbia–Vancouver. They describe a transition from community-inquiry faculty projects to community-engaged action research projects achieved through organizational restructuring, curricular revision, and new teaching approaches; discuss the concepts that grounded their curricular revision; and report on the outcomes of their Faculty’s transition. This study emerged from the author’s work in a food commons in industrial East Vancouver. It began from a curiosity about how place impacts who we are. By employing a process oriented research design the study evolved to ask: How may participation in the Purple Thistle’s food commons influence people’s engagement in the urban landscape? The findings challenge modern notions of property and urban design, and highlight a vision of the urban impossible (Chatterton, 2009) that could catalyze communities to uphold their democratic right to the city. Entering through an open, process oriented, and trust centered organizational structure, participants’ experiences in the Purple Thistle garden led them to new ways of experiencing (in)dependence and trust. This had implications for the way they saw the world around them, and the way they engaged in the built environment.